In November 1994, All Japan Women's Pro-Wrestling presented Big Egg Wrestling Universe. A 10-hour 23-match box office phenomenon packing 32,500 into the fabled Tokyo Dome, the evening was a showcase of what many discerning observers considered the best wrestling product in the entire world at the time. 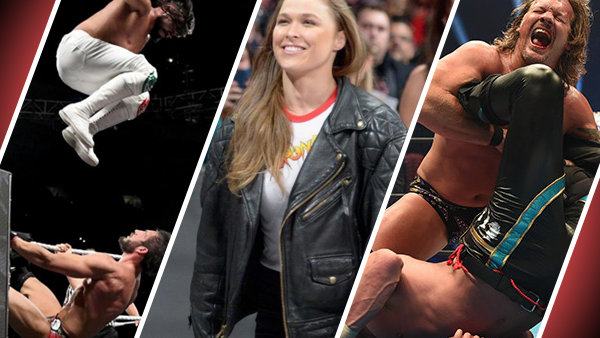 Only peppered with men's matches and mixed martial arts, the card gave ample space for the roster to sparkle nearly a quarter of a century before WWE ran their historic first ever Women's Royal Rumble. Brief highlights of the show played out on WWE's Survivor Series card three nights later as the company acknowledged a title change between Bull Nakano and their lone female star Alundra Blayze at the mega-event. The same Survivor Series in which Jerry Lawler was jostled by six miniature clowns and kings into taking a custard pie in the face from Doink. The Survivor Series that was sandwiched by WCW Clash Of The Champions and Starrcade shows headlined by contests pitting Hulk Hogan against Brutus Beefcake. North America couldn't touch the action across the Pacific, but roles were reversed in March 2001 when WWE' WrestleMania 17 murdered a Scott Hall-headlined NJPW gymnasium show whilst Vince McMahon regrettably killed off WCW. The gulf between the highs and lows across the industry were again colossal. Curt Hennig's blooper reels highlighted how difficult it was to pull off a litany of flawless feats even with favourable skills. Somehow, his industry bettered him in January 2018. Live and dangerous, Professional Wrestling was absolutely perfect.